Stantec Consulting Ltd. was commissioned by Amvic to provide an outline of the anticipated energy savings using insulated concrete form construction (ICF) for a typical 2,000 sq.ft. home (residential study), a school (institutional study) and a warehouse (industrial study). 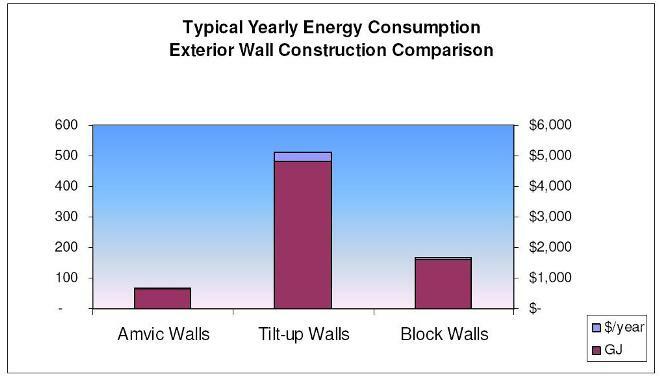 For each study three methods of construction were assessed in order to determine the method that would require the least amount of energy annually for heating and cooling. In all cases, using Amvic resulted in reduced consumption and cost savings. 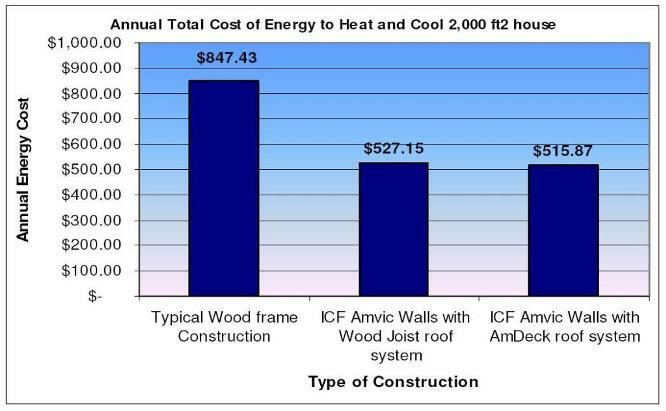 Results: An Amvic ICF and AmDeck structure requires approximatley 39% less energy annually for heating and cooling that traditional construction, resulting in considerable cost savings. 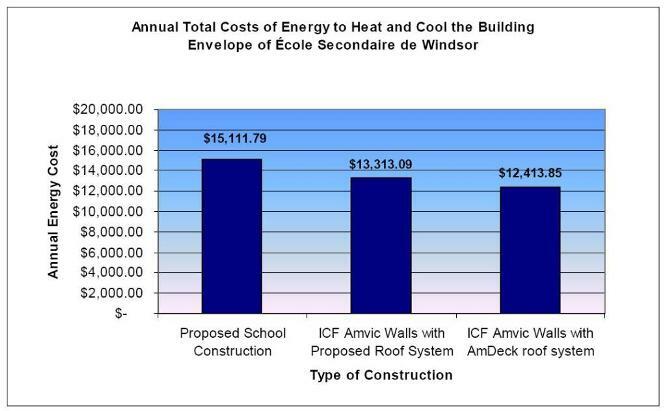 Results: An Amvic ICF and AmDeck institutional structure requires approximatley 18% less energy annually for heating and cooling than traditional construction (designed to LEED Gold standards)*, resulting in considerable cost savings.